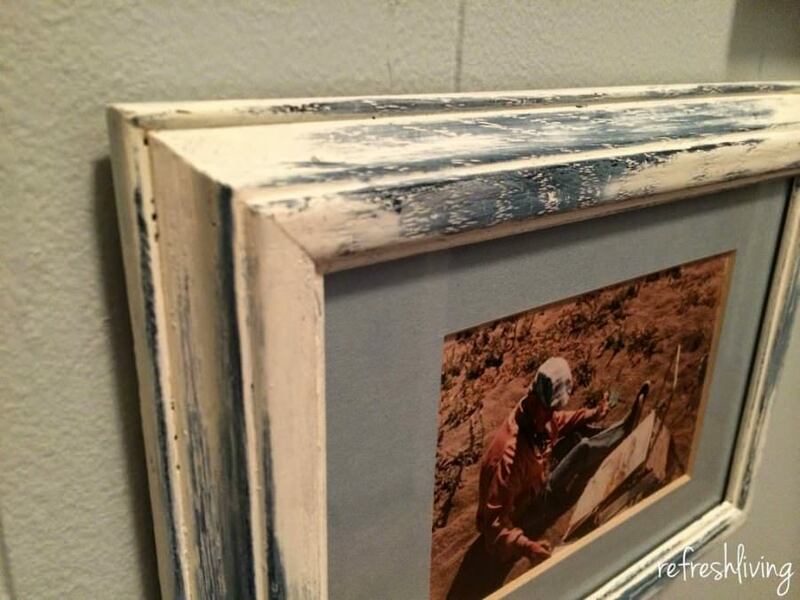 I love painting wooden picture frames. They allow me experiment with different painting techniques with no pressure. If I mess one up, it’s easy and quick to paint over, far less frustrating than messing up a huge dresser. Our cottage has been in the family for couple of generations, and while cleaning the place out, I found quite a few old pictures of my grandparents, great-grandparents, and great-great grandparents. I figured a collage wall would be a perfect place to showcase these images. I picked up a pile of frames from a couple of thrift stores, as well as ones I had found at garage sales over the past couple of months. 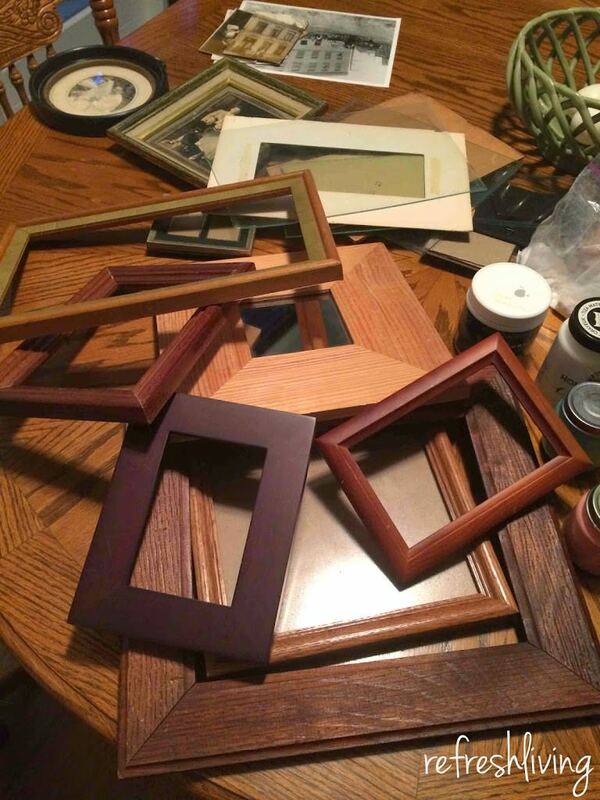 I never pay more than $2 for a frame, but most of these were a dollar or less! 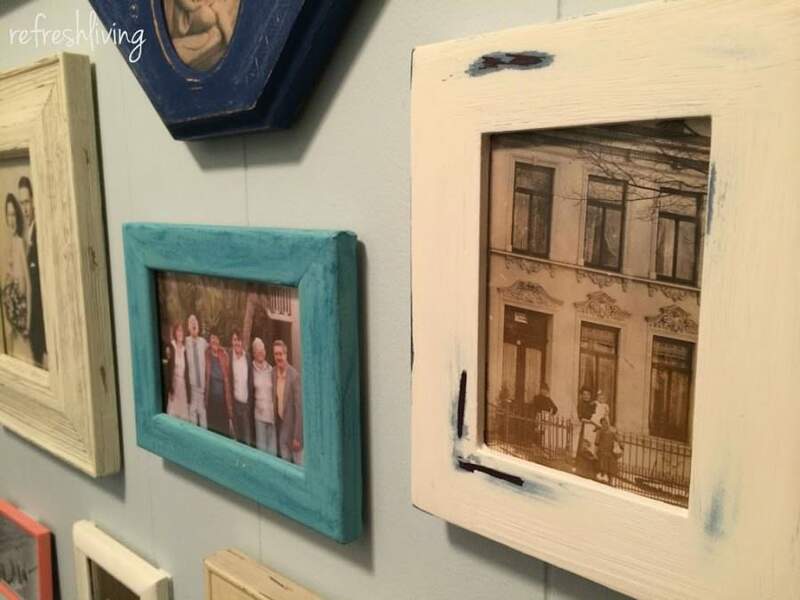 I used some paint samples I had leftover from different projects and made some small batches of chalk paint. I used 5 different colors to keep some consistency in the frames, but then altered the order and types of techniques used for the different frames. I distressed some of them using the Vaseline technique, did a wash over a couple, dry-brushed a few of them, and others just got a solid coat of paint. I’m a big fan of the new picture frame wall. I love the color it adds to the otherwise drab hallway, plus it has turned into a great conversation piece. So pretty, I love all the pretty colors and painting techniques you chose! 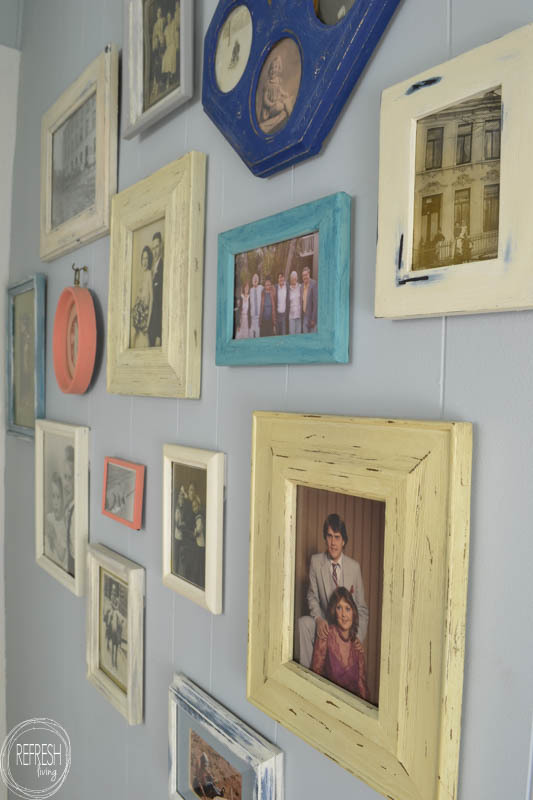 I’m working on a gallery wall in my new house that I hope to share soon! 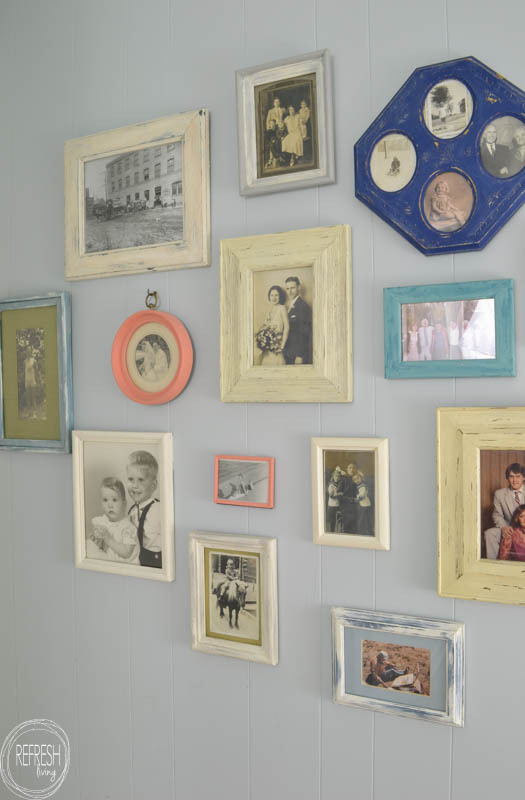 Another amazing post….LOVE your wall and you are soooo blessed to have so many vintage photos of your ancestors! 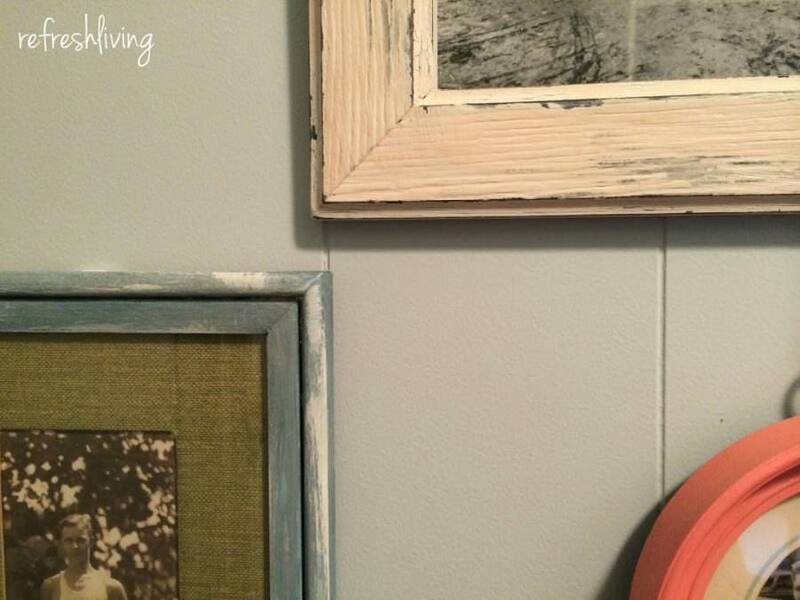 Your gallery wall is beautiful. 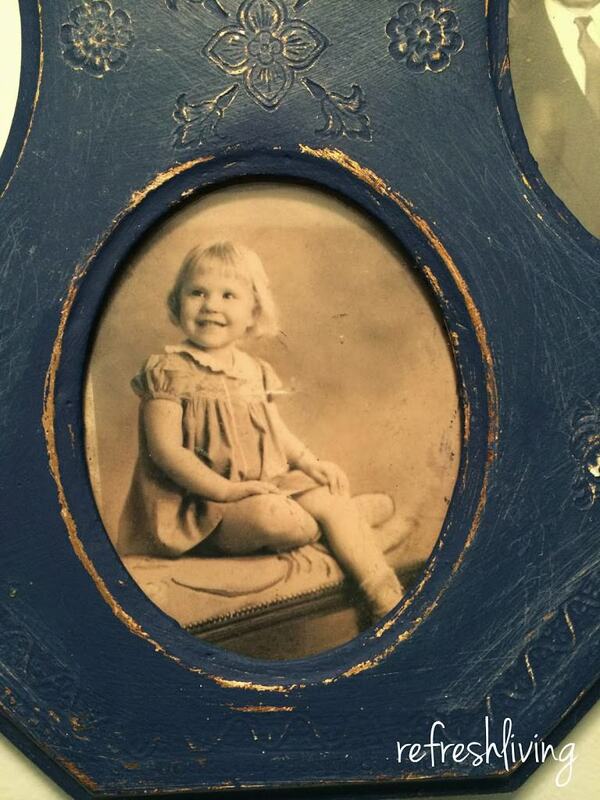 I love finding great old frames at thrift stores. You found some really interesting ones. Very nice. I have been learning….things DON”T have to match! Follow you from Much Ado linky!